World Neighbors works with the rural poor in 16 countries in Asia, Africa and Latin America to strengthen the ability of individuals and communities to solve their own problems of hunger, poverty and disease. World Neighbors’ programs integrate improved sustainable agriculture, community-based health, reproductive health, environmental conservation, water and sanitation, and livelihood strategies, including savings and credit. The purpose of World Neighbors is to strengthen the capacity of marginalized communities to meet their basic needs, and to determine and sustain an equitable and inclusive development process. World Neighbors is a people-to-people nonprofit organization working at the forefront of worldwide efforts to eliminate hunger, disease and poverty in Asia, Africa and Latin America. World Neighbors affirms the determination, ingenuity and inherent dignity of all people. By strengthening these primary resources, people are helped to analyze and solve their own problems. Success is achieved by developing, testing and extending simple technologies at the community level and training local leaders to sustain and multiply results. Program priorities are food production, community-based health, family planning, water and sanitation, environmental conservation and small business. Founded in 1951 and rooted in the Judeo-Christian tradition of neighbor helping neighbor. World Neighbors is anon-sectarian, self-help movement supported by private donations. World Neighbors does not solicit nor accept U.S. government funding. World Neighbors currently supports 64 programs that directly affect 300,000 people in 15 countries including seven of the 12 countries identified by the World Bank as accounting for 80 percent of the world’s poor (1998 World Development Indicators, The World Bank.) Those countries are India, Indonesia, Kenya, Peru, and Nepal. World Neighbors’ annual operating budget is just under $5 million. Support for programs comes from private contributions by individuals, foundations, churches and organizations. World Neighbors does not solicit or accept U.S. government funding. World Neighbors has always been non-sectarian. World Neighbors has a headquarters staff of 25 full- and part- time employees in Oklahoma City. Since 1951, World Neighbors has supported hundreds of programs in 64 countries in Asia Africa and Latin America. World Neighbors operates programs for an average often years. At the beginning of each program’s operation, there is already a plan in place for phasing out support. As World Neighbors moves to other areas of need, they leave behind networks of leaders with the skills to enable a community to undertake development initiatives on its own. Please select a region going at web site to see further prefect details, general information about the people we help, and the bright futures that are curled. Select the areas where we work on the basis of need and opportunity. Listen to what they have to say and what limits their success. Establish a relationship of trust. Help strengthen their capacity to identify, analyze and solve their own problems using the resources and the simplest tools to do the job. Try new ideas on a small scale. Stay practical to generate early enthusiasm and success. Help document the results and apply lessons learned to improve programs. Reinforce their capacity to maintain and multiply results and ongoing problem-solving process by forming new partnerships and by coordinating with additional villages and local organizations. Widen program impact by recording and sharing the results and process with larger scale organizations, villages, networks, coalitions and governments to influence policies and actions. Our approach aims to strengthen the ability of communities to address the problems they face and to meet their basic needs. By beginning with people and by helping them to set their priorities and manage the development process themselves. World Neighbors respects the dignity and self-worth of the people with whom we work. This approach also makes it much more likely that programs can continue without outside support. World Neighbors does not send in “outside experts.”‘ Programs are led by committed trainers who come from the geographic areas where we work and speak the local languages. Of the more than 350 field staff based in 15 countries, only two are from North America. Many of our programs are carried out in partnership with local organizations, while others are operated by World Neighbors. By participating in this self-help process, communities gradually develop their capacity to identify, analyze and solve problems, whatever they may be. Local trainers and volunteers learn how to identify needs, experiment with solutions and evaluate results. Eventually, these local trainers replace the World Neighbors-supported staff working in the community as World Neighbors moves on to work in other areas of need. World Neighbors starts where people are and responds to their expressed needs. Therefore, programs often address a range of critical issues such as low food production, high infant mortality, poor maternal health, scarce drinking water, soil erosion, deforestation and unemployment. All of these issues are inter-connected in the lives of the rural poor, and World Neighbors has found it effective to work in an integrated, holistic manner. As programs and local organizations are established. World Neighbors encourages them to join together to form wider networks and associations. A network of village health committees can do more to improve health conditions than a single village. Farmer groups that are linked to one another – and to other organizations – can more effectively protect a vanishing forest than a single group of farmers acting alone. Action learning is the systematic and participatory analysis, learning and documentation of program need, context, process, outcomes and impact. Action learning is a fundamental feature of World Neighbors programs and these activities used to inform decision-making, improve programs and widen impact. > Sustainable agriculture includes the non-chemical but also the transition strategies of encouraging farmers to move from one method of farming to another. Sustainable agriculture is not a goal to be attained, but an on-going dynamic process that continually adapts itself to the changing environment. Community health care is an important part of World Neighbors programs aimed at building local capacity to meet basic needs and promote a self-sustaining local development process. World Neighbors community health programming is based on the principles of primary health care that emphasize prevention of illness, home management of uncomplicated cases of illness and prompt referral as necessary. Our programming includes 1) control of infectious disease (prevention and treatment), 2) childhood immunization, 3) clean water supply and sanitation, 4) nutrition promotion, and 5) reproductive health. Sexual relations should be free of coercion and infection. Every pregnancy should be intended. Every birth should be healthy. > Community-Based Natural Resource Management is a people-centered approach to the integration of conservation and development. Multi-stakeholder Collaboration is a pivotal mechanism for building consensus among all stakeholders and for coordinating joint efforts. Conflict Management Mechanism. Creating venues and milestones to convene stakeholders over the long-term is essential for managing natural resource conflicts. Participatory Action Research. Assessment and information gathering efforts undertaken jointly by stakeholders consciously includes local knowledge as well as scientific expertise. Collaborative fact-finding generates a mutually agreed perspective for action. Strong Local Organizations are built from the bottom-up. Forest-farmer groups address key conservation and development concerns at the farm and community levels, while inter-village networks address multi-community concerns at the ecosystem scale. Livelihood Improvement and Environmental Services. Farm and community enterprises linked to environmental conservation help sustain environmental services. Linking upland with lowland and urban communities through environmental services provides opportunities for reinvestment. Policy Support and Law Enforcement are essential to curb illegal encroachment leading to ecosystem degradation. With adequate policy support, communities of place become more effective custodians of natural resources. Collaborative Management Plan. Healthy &cost stems and sustainable communities are built on shared responsibilities and decision-making among all stakeholders through joint management plans based on the principle of subsidiary. Participatory Monitoring and Evaluation. Monitoring the natural resource base and application of the management plan is seen as a means to address accountability, build trust, and promote learning, innovation, and adaptive responses. Gender and Social Justice in Access To and Control of Natural Resources is the ultimate measure of the sustainability of community-based natural resource management efforts. World Neighbor’s purpose is “to strengthen the capacity of marginalized communities to meet their basic needs, and to determine and sustain an equitable and inclusive development process.” The issue of community and organizational capacity building is therefore central to our work. World Neighbor’s recognizes that we can’t remain in one site for too long- nor would it be desirable to do so. (Project initiatives generally last from 5 to 10 years.) We seek to strengthen local autonomy other than create dependency. This requires transferring responsibilities to local partners, and organisationing out of direct Financial support. 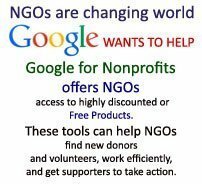 In many cases local organizations evolve into NGOs or associations of rural people. Sometimes these organizations can strengthen other local organizations. This focus on “strengthening local capacity” requires a clear vision about our role as a support organization, and a conscious, explicit strategy to identify and strengthen capacities. A critical component of World Neighbors’ people-centered approach is empowering women and men to listen to one another and work together to improve their lives. Helping marginalized groups, including women, express their ideas and be heard is an important part of this work. Because of the varied contexts in which World Neighbors operates, World Neighbors does not have one uniform ‘gender approach.’ There are, however, general principles that guide our gender-related work, These include: linking gender relations with concrete needs, involving men and women, using gender-sensitive participatory methods; addressing unequal responsibilities and decision making, and approaching gender issues at a variety of levels. The small village of Nellur is one of hundreds of farming communities scattered across the dry expanses of India’s Deccan Plateau. All of Nellur’s 250 families live off the land and rely on a short rainy season to secure one meal a day. Many of the families do not own the Land they live on. The communities in this area live in extreme poverty and lack access to basic services like drinking water, schools and health facilities. Life is especially difficult for the women of Nellur, who work an average of 15 hours per day, gathering firewood, cooking and washing, caring for their children and working in the fields with the men. Five of those hours are spent carrying water. Women suffer many health problems due to their low status, heavy workloads and lack of health care. “Even pregnant women, work until their date …….. and there many stories of women delivering in the field or on the road,” reports Dr. Subhash Gumaste, Eorld Neighbors Associate Area Representative for India. “The nearest primary health center to Nellur is about 11 kilometers (7miles) away. Before the program begun, the poorest families have never seen the government nurse who was supposed to visit the village once a week. Launched in 2000, the Wadhwani Foundation is a not-for-profit organization founded by Dr. Romesh Wadhwani, an IT entrepreneur in Silicon Valley, California. To help individuals achieve their full potential, regardless of background. We believe entrepreneurship is a powerful tool for individuals to realize their potential. Entrepreneurship is more than starting a business; it is a way of thinking, and a critical drive of growth in any economy. Entreneurship bring to market new products and services, and devise better and more efficient ways to operate. In doing so, they create valuable, productive new jobs. Successful entrepreneurs create wealth for themselves, their families, their communities and society. To inspire, educate and nature new entrepreneurs, we develop and fund not-for-profit programs and organizations that create entrepreneurial education, build networks, raise awareness, perform research and help develop a supportive policy environment. In addition, certain sections of the population need extra support – individuals who due to physical and economic constraints often do not have the opportunity to explore, let alone reach, their full potential. We therefore fund not-for-profit efforts to empower the disadvantaged, with a focus on helping disabled gain productive employment. For more details on individual activities, please see Programs. For information on the organizations that we have funded please go to Portfolio. The Foundation does not invest in for-profit business opportunities. It’s clear: India, like many emerging countries, needs more valuable jobs, in 2000, unemployment among youth with some technical education hovered at almost 24%. And while overall unemployment was 7%, at the same time 26% of India’s population lived below the national poverty line. In other words, many people, while they are working, earn barely enough to sustain themselves And every year increasing numbers enter the job market (Figures above from Planning Commission Report, 2001). We believe that successful entrepreneurs can help create much-needed productive jobs. But to choose entrepreneurship, and to succeed, individuals need confidence, skills and other forms of support. Entrepreneurs also require a conducive policy environment – one that eliminates unnecessary barriers before them; and encourages their success. Other individuals, particularly the disabled, require specialized help to succeed, because they have to overcome extraordinary odds before being able to support themselves. The Wadhwani Grant Program funds non-profit organizations with innovative, effective approaches to helping differently-able individuals achieve their potential. The Wadhwani Foundation Grant Program was developed and launched in 2003 with the first grant cycle starting in August 2003. > Mitra Jyothi – Bangalore. > The Association of People with Disability- Bangalore. > Spastics Society of Kamataka – Bangalore. Medical Research Foundation – Chennai. The Wadhwani Grant Program aims to help thousands of differently-abled people (disabled persons) gain productive employment over the next 10 years, both directly, or indirectly through successful advocacy efforts. To do this. we are funding a group of non-profit organizations that will offer a full set of mutually reinforcing programs that provide the differently-abled people opportunity to start their own enterprises or to have opportunities to be gainfully employed. The members of this network will be able to leverage each other’s knowledge and resources to increase effectiveness. We invest in projects or activities where an infusion of funds will make a significant difference, either by increasing scale or quality, or by launching a new effort. If you are part of an non-profit organization that shares our vision, please contact us and if you are a non profit organization seeking funds please see our ‘Grant Process’ and ‘Proposal Format’ sections. > Leadership who heads the organization ? Board members ? To qualify for a Wadhwani Grant, the applicant must be. > A legally registered (under 80 G and FCRA) NGO in India. We fund programs where the grant will significantly increase scale, quality or launch a new effort. In addition to fitting the above mentioned categories, the other important factors are demonstrated management strength, clarity in strategy, ability to scale, and track records of innovation and effectiveness. Grant amounts are flexible. Organizations will be considered for one grant per year, but successful applicants can reapply in following years for additional grants. Selection will be made by a group of advisors and experts from the field, based on the merit of submitted proposals, combined with due diligence performed by the Foundation. Applicants will be notified of their status within 6 weeks of the meeting of the Grant Committee. * Please submit the proposals (or any enquiries) in English Via email, fax, courier or post to the address given at the end. Differently-abled individuals need special help to achieve their full potential. In India, for variety of reasons, including physical and economic constraints, it is often difficult for them to become employed. With the right enablement and support, these individuals can not only achieve the potential but also contribute more value to society. We seek to help the differently – abled gain productive employment through the following programs. The Wadhwani Ashoka Fellowship identifies and supports leading social entrepreneurs who are building non-profit organizations with innovative approaches to solving problems faced by the different-abled. To empower differently-abled individuals to live independent lives. Ashoka searches the world for extraordinary individuals with unprecedented ideas for change in their communities. Ashoka invests in these “social entrepreneurs” when no one else will, through stipends and professional services that allow “Ashok Fellows” to focus full time on their ideas for leading social change in education and youth development, health care, human rights, access to technology and economic development. We are partnering with Ashoka, a global non-profit organization, to support social entrepreneurs working with the differently-abled people. In addition to the support provided by Ashoka, Wadhwani Ashoka Fellows will have access to all our entrepreneurial development programs and resources. The stichting kinderpostzegels Nederland – SKN (Foundation for Children’s Welfare Stamp Netherlands) is concerned with raising and allocating funds for the benefit of children under the age of 18 in the Netherlands and abroad. Physically, mentally or socially handicapped children constitute out target group. SKN considers projects from organisations irrespective of race, religion or political conviction. SKN raises funds by selling special stamps and greeting cards. Every year the Dutch Postal Service issues a series of children’s stamps. These stamps are a little more expensive than regular stamps. The surcharge is transferred to SKN. The first children’s stamps were issued in 1924. Since 1948 a substantial part of the door-to-door sale has been done by schoolchildren. With the proceeds of the children’s welfare stamps campaign SKN finance hundreds of projects each year, both in and outside the Netherlands. These projects are set up to improve the position of disadvantaged children. The main point is that all children should have equal opportunities to grow up and become independent adults with a respected place in society. Where this opportunity is at stake, the SKN tries to help. SKN does not have its own offices outside the Netherlands. However, a network of international contacts has been built up. SKN has frequent contacts with other organisations in and outside the Netherlands which work with children, including Dutch co-financing organisations like Novib, Cordaid, Hivos and lcco and international organisations like Defense for Children International. Physically and/or mentally handicapped children. Children who are victims of abuse, violence, exploitation and/or discrimination. SKN endorses the United Nations Convention on the Rights of the Child. Children should be taken seriously and, if possible, be involved in the preparation and execution of projects that are concerned with their welfare. The participation of children in these projects is important, because only then the focus of attention will really be directed at their interest. All applications for financial support .SKN must regard projects that revolve around the child. Children constitute the group that is most at risk in society and the group that can least defend itself. SKN, however, is not in favour of an institutional approach to the problems of children. Institutional care should only be provided in cases where there is no alternative and only as a temporary measure. SKN prefers to support projects which are initiated by local communities. Local people are the best judges of the situation and they can see to the integration of the project into the heart of local society. Therefore, SKN values the training of local personnel, social workers and staff members. SKN prefers to support starting projects, thus providing the opportunity to prove that there is sufficient demand for the facilities offered. The total period of support is limited, as the project should not remain dependent on external financial support. Formal education, orphanages and means of transport (unless specifically). The cost of clothing, food and medication. Emergency aid, for instance in case of a natural disaster. Setting up pre-school centres for children from 0-6 years of age. All organisations that receive funds are required to keep SKN informed about the project through progress reports. These reports serve to check the use of the funds made available by SKN and to evaluate SKN’s policy on allocation. Within SKN a committee of experts in the field of international aid and child care has been established. Applications for support are submitted to this committee. Your proposal should address all topics listed in the application checklist. In your request for financial support, please address all topics mentioned in this checklist. A correct and complete proposal ensures a swift procedure and a timely reaction to your request. You can print this checklist. Should the organisation responsible for the execution of the project not be the same as the applicant, please state the name of the executing organisation State the legal position of the applicant in the country where the project will be executed. Describe the background the purpose of the organisation. State the name, address, account and SWIFT code of the bank to which money should be transferred. The number of children which will benefit from the project. The general situation, reasons and needs for the execution of the project. Is this project part of another project that is already operation. If so, describe its results so far. Are there any long-term-plans with respect to the project for which you are requesting funds ? Are there similar projects which have been carried out by the applicant or other people in the same region ? If so, what were the results ? Which operational measures have been taken to prepare for the project ? Are volunteers involved in the project ? If so, how many and what is their role ? What are the contacts with (representatives of) the target group ? How do they participate in the decision-making process ? How much time will the realisation of the project take and when do you expect the project to be completely executed ? Who is responsible for the project ? Please attach a copy of your most recent annual financial report. The total budget for the project; attach a detailed budget. The applicant’s resources for the execution of the project, apart from the running costs. This should include an estimate of the approximate value of land, buildings, livestock etc. The amount of money that is requested from SKN; specify for which part of the budget. than SKN, please state their names and the reactions that have been received and/or may reasonably be expected ? Indicate the running costs for the project during the first years; state the method and sources of financing that will guarantee the continuation of the project. The applicant must guarantee that, incase the requested assistance is allocated, regular reports about the progress of the project will be sent to the SKN.